As the sporting and cultural capital of Australia, Melbourne has plenty to offer visitors from all over the world. From the rooftop bars and designer boutiques that give the city a cosmopolitan feel, to its plentiful array of historical buildings and landmarks — Melbourne has something new to discover on every corner. You can immerse yourself in Melbourne’s rich Victorian heritage at the Royal Exhibition Building, one of the oldest remaining exhibition pavilions in the world. Or walk a mile in the shoes of the early western settlers, who found themselves paying for their crimes in the eerie but fascinating Melbourne Gaol. Step straight back into the 21st century at the Scienceworks with plenty of interactive exhibits that link Melbourne’s industry, heritage, and applied technology in one place. 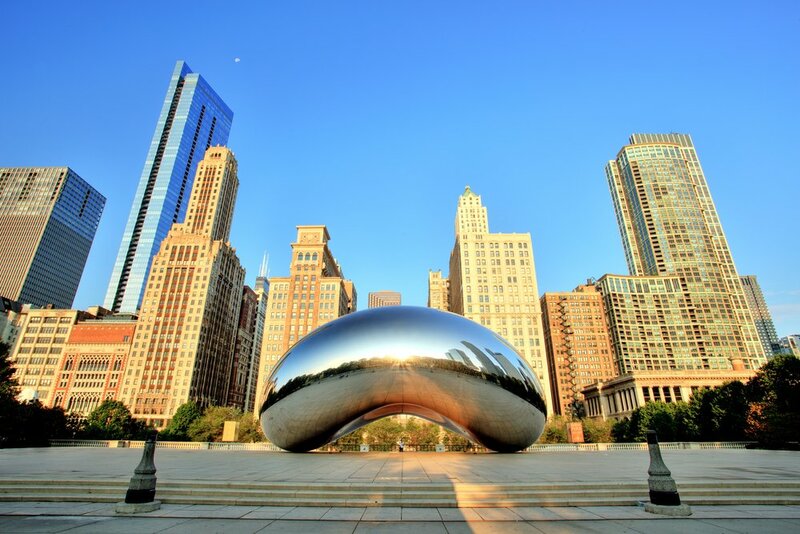 Or enjoy the wonderful collection of museums and art galleries dotted throughout the city. If food is your thing, Melbourne will certainly not disappoint. From traditional Aussie fare to cool contemporary cuisine, there’s a wealth of restaurants, cafes, bistros, and bars to keep your taste buds tempted. A nice cool beer is always on the menu, and so are some of the finest wines in Australia, many of which are produced in the neighboring wine regions and breweries of Victoria. The city of Melbourne was first founded on the Yarra River in 1835 and went on to enjoy significant growth up until 1850, despite remaining a relatively rural settlement. The Gold Rush in 1851, however, totally transformed the area from a colony of smallholdings into a hotbed of immigration and development, which would later establish Melbourne as Australia’s major financial center. The State of Victoria saw a major influx of new settlers all looking to strike gold! With them came a steady flow of provisions for housing, food, and mining equipment, which helped over £100 million worth of gold to be plucked from the region in the 1850s alone. With Victoria now being a very wealthy colony, the fortunes of the new Victorians flourished. The International Exhibition of 1880 placed Melbourne firmly on the map as an important trade center for wool, wheat, and other agricultural products, as well as being Australia’s most refined city. Despite suffering during the depression of the 1930s, the city rose again in the mid to late 20th century, becoming home to headquarters operations for a lot of the country’s largest companies (many of whom are still based in the city today). 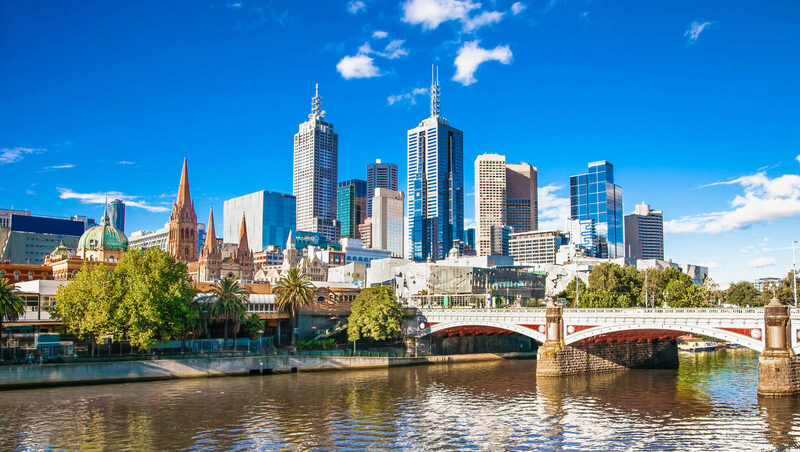 Now a culturally diverse city offering some of the best living standards throughout Australia, Melbourne has come a long way from its humble rural roots. Tip: Flying to Australia? We’ve created a super in-depth guide on the best ways to fly to Australia using points and miles. Melbourne is Australia’s second largest city and is considered by many to be the cultural and sporting capital of Australia. For all of its fine restaurants, elegant buildings and historically important landmarks, the city is also extremely welcoming and has a multicultural feel that appeals to most visitors. Other Languages Spoken: Melbourne is home to residents from all over the world, and as many as 251 languages can be heard throughout the city every day. Religion: The major religion of the country is Christianity. In Melbourne this is broken down into the Roman Catholic Church, the Anglican Church, Eastern Orthodox, and the Uniting churches. Time Zone: The standard time zone for Melbourne is UTC+10:00 (Coordinated Universal Time), changing to UTC+11:00 when daylight savings time (DST) is in operation. Beaches: Over 30 designated public beaches plus many more private inlets and coastal spaces. Australia may well be the smallest continent on Earth, but it is a vast region surrounded by water on all sides. Most visitors reach Australia by air, and flight times can be pretty long even from neighboring countries. Opened in the 1970s, Melbourne Airport (also known as Tullamarine Airport) is the only international airport serving the city of Melbourne, and the second busiest airport in Australia. Avalon Airport, Essendon Airport, and Moorabbin Airport also service the city, but are limited to internal or cargo flights only. Once you’ve landed on Australian shores, finding your way to the city of Melbourne is quite straightforward. Melbourne Airport offers a dedicated shuttle service from the terminal to the city itself. The SkyBus is the main airport shuttle, which leaves from 2 locations outside the terminals and operates 24 hours a day, 7 days a week. SkyBus runs to and from Southern Cross Station and leaves every 10 minutes for most of the day. Tickets are $19 one-way or $38 return for adults; up to 4 children can travel for free. The journey time is usually between 20-40 minutes depending on traffic. There are other shuttle buses available that run directly to some of the inner-city hotels. Prices range from $18-$25 depending on destination, and there is no need to change buses at Southern Cross Station. Public transport can also take you from the airport into the CBD (Central Business District). Using a low-cost myki card, you can enjoy a leisurely route on both the train and the bus to reach your accommodation. The 901 bus to Broadmeadows station will let you catch a train for the remaining 40-minute trip to Flinders Street in the CBD. Services run at 15-minute intervals during the week, and every half hour at night and on weekends. Costs vary depending on your destination. There are currently no direct train links between Melbourne Airport and the city center. If you do want to take the train, you would need to hop on the 901 bus to Broadmeadows Station and then catch the Craigieburn Line train into the city center. You’d need to allow well over an hour for this journey. There are plenty of taxis located in designated ranks outside the exits of Melbourne Airport. The journey can take anywhere between 40-60 minutes (or sometimes more during busy periods), and it will cost you around $60 for a single journey. You can pre-book a taxi to pick up you and your luggage from inside the airport if this is simpler. Taxi services like rideways.com and taxicode.com will allow you to book your pickup online. Uber drivers also operate in and around Melbourne, and you can arrange your pickup simply by using the app on your Smartphone. Trams are a major form of public transportation in Melbourne, with a network covering over 250 kilometers in the metro area. The City Trams are free, but they don’t extend all they way to the airport. You would need to reach Southern Cross station before enjoying a tram ride or 2. Once you’ve arrived in the city, there are plenty of options for affordable, reliable, and easily accessible public transportation. To travel on the Melbourne bus system, you’ll need to purchase a myki card. These cost $6 for adults and $3 for children, and they need to keep a positive balance in order for you to travel. Your myki card can be topped up at over 800 retailers throughout the city. Alternatively, you can purchase a myki explorer pack that combines a ready-to-use myki card with helpful information and special offers for visitors to the city. When you leave, you can even donate your myki card to charity. Buses run all over the city from around 6:00am until 9:00pm most days, and the Night Network runs all night metropolitan trains, trams, and late night buses on weekends. You can find more information about bus routes and timetables at Public Transport Victoria. Trams have been an iconic sight in the city since 1885, and the network now offers over 490 trams covering 24 routes and 1,763 tram stops. It is the largest urban tramway network in the world…and better still, the City Tram Zone is entirely free to travel on! This makes it a great way to explore the inner-city areas. Trams run most days from 8:45am until around 4:00pm. Again, further details on tram routes and timetables can be found at Public Transport Victoria. Taxis and Ubers are also plentiful on the streets of Melbourne, and you can hail a car, pick one up at a designated taxi rank, or pre-book a trip online. Melbourne taxis display a light on top of the cab roof and are usually painted yellow, silver, or white. Drivers are required to wear a uniform in the city and display an identity card on the dashboard at all times. Information about taxi firms, fares, and regulations can be found at the Taxi Services Commission website. Melbourne’s metro trains run between the outer suburbs and Flinders Street Station. The City Loop is Melbourne’s very own underground system; although small, it offers quick and easy access to 5 stations within the central business district. If you want to travel further into the suburbs or out into Victoria, Southern Cross Station is the main hub for both regional and interstate rail services in and out of Melbourne. You can use your myki card on trains covering the metro area, but trains into the suburbs and beyond will need additional tickets. For more information about ticketing, fares, and timetables, visit the Public Transport Victoria website. Hot Tip: Don’t miss out on earning lots of valuable points and use a super rewarding card for your purchases abroad, such as the Chase Sapphire Preferred® Card which earns you 2pts per $1 spent on ALL travel and dining purchases. This is our #1 recommended card. But – at the very least, you’ll want to use a credit card that has no foreign transaction fees! Melbourne is collection of different neighborhoods, each one bringing their own unique character and charm into the city. To really get to know Melbourne, spend some time moving between the different suburbs and developing a real taste for the Melbourne way of life. The Central Business District (or CBD) is the beating heart of the city of Melbourne. 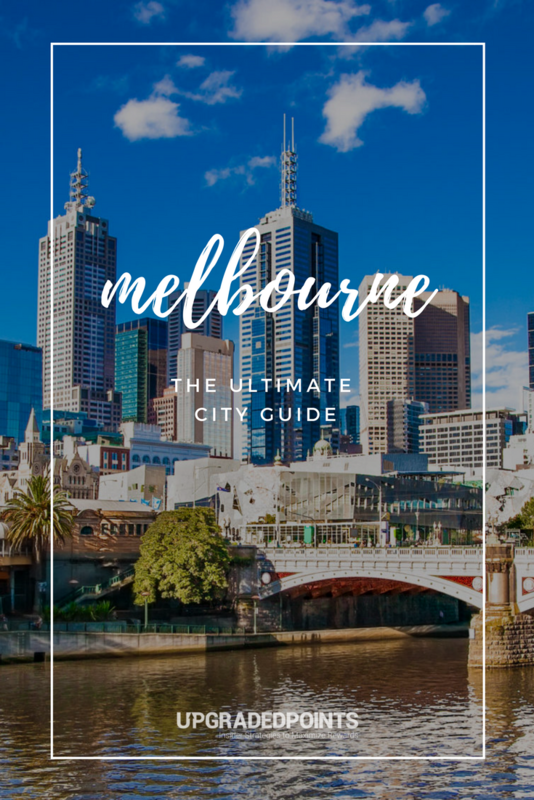 From the open spaces, royal gardens, and docklands eateries to the high-end shopping opportunities in Bourke Street Mall and the Melbourne Centre, the city has plenty to see and do. With first class restaurants, cool cafes, boutiques, and old arcades on every corner, a day spent exploring the CBD is a day well spent. If you want to step back in time, the Old Melbourne Gaol and the Melbourne Aquarium sit nestled among the modern commercial buildings, adding gravity to the district. Meanwhile, the museums and galleries of Federation Square add grandeur. Students, families, and travelers are often seen mixing with commuters on their lunch hours — the CBD is open to everybody. An inner suburb of Melbourne, St Kilda is a beachside neighborhood frequented by backpackers, families, and anyone looking to enjoy the great outdoors. From the glorious mansions of days gone by to the historic Sea Baths and wild rides at Luna Park, St Kilda has a traditional seaside resort feel about it. Sip coffee on the sea front while you watch the yachts sail by, or sample some of the great cake shops to be found on Acland and Carlisle streets. When night falls, the area’s pubs and music venues fill up with loud music and late night revelers. Carlton is well known for the wide selection of cafes and restaurants tucked within the Lygon Street Italian precinct, giving this area the local moniker of “Little Italy.” It is also home to the historic Melbourne General Cemetery and Princes Park, playground for Melbourne’s very own Carlton Football Club. With plenty of leafy avenues and open spaces to enjoy, Carlton Gardens themselves contain the contemporary Melbourne Museum and the domed 19th Century Royal Exhibition Building that has World Heritage status. Carlton is vibrant and friendly, with a truly cosmopolitan feel. Fitzroy is home to all things alternative in the city of Melbourne. If something is cool and kooky, you can find it here. Secondhand book stalls, vintage clothing stores, quirky boutiques, and independent retailers can all be seen on Brunswick Street. Or stop for a bite in any of the awe-inspiring vegan, vegetarian, or alternative cafes and restaurants dotting the area. Fitzroy is renowned throughout the whole of Australia for its street art, music scene, and bohemian feel, and it is also the main home of Melbourne’s Fringe Festival. Come and enjoy cocktails with the cool creatives just a short bus ride from the CBD. Richmond is a multicultural suburb that welcomes residents from all over the world. It’s best known for Victoria Street, or “Little Saigon,” which is brimming with Asian grocery stores and eateries serving pho and bánh mì. If you’re looking to grab a bargain, the Bridge Road factory outlets offer great valuing clothing, furniture, and design stores. Many of the historic old buildings that formerly filled the area have been given a new lease on life as cool bars and happening music venues. A little rough around the edges, Richmond has a young but edgy vibe. Williamstown is a highly desirable suburb to visit, and it gets pretty busy all year round. Located right on the waterfront, Williamstown offers a rare combination of open spaces, good facilities, and a wide variety of options all within easy reach of the CBD. It has lots of residential areas, so Williamstown is a nice place to stop for coffee or ice cream, and the area has a safe, welcoming feel to it. Parking is a nightmare though, and everywhere from the beach to the street can be packed on weekends. South Yarra is an upmarket suburb of the city that is popular with aspirational professionals and young families. Art deco apartments facing the Yarra are highly sought after, as are well-preserved mansions like the famous Como House. The streets here are filled with swanky boutiques, fine restaurants, art galleries, and cocktail bars, and Toorak Road or Chapel Street are the places to see and be seen. The Royal Botanic Gardens meet South Yarra at its most northerly point, making them the perfect place to enjoy a jog or picnic away from the apartments and nearby streets. The Docklands area of the city has been heavily regenerated over the past 20 years and is now a contemporary development full of high-rise apartments and office blocks. Dominated by the colorful Melbourne Star Observation Wheel that keeps a watchful eye over proceedings, the area is now full of big-name shops and ample opportunities for waterside dining. Pedestrianized plazas are family friendly, and there are public murals, sculptures, and light displays to enjoy. This area is mostly a resort destination, but has a family feel encouraged by visitors coming to see sporting events at Etihad Stadium or enjoy Harbor Town’s mini-golf and sports car simulators. Situated on the waterfront, Southbank is renowned for great restaurants, amazing public art displays, and upmarket shopping opportunities. The crowds here are sophisticated and worldly; they come to enjoy cultural venues like the Malthouse Theatre (based in a restored brewery) and the state-of-the-art Melbourne Recital Centre’s classical concerts. The Crown Casino Complex is also nearby, making it a popular part of the city for high rollers. If you want to ensure you’re caught looking super-cool, check out the many al fresco fine dining experiences on the promenade, or spend your night sipping craft beer in a cargo shed. For the upwardly mobile and culturally aware, Brunswick offers a laid-back multicultural vibe that is popular with the young, alternative crowd. With plenty of live music venues, upbeat pubs, and beer gardens to choose from, Brunswick is not just a night out: it’s a lifestyle. At the heart of the area lies the Sydney Road, with all its Middle Eastern and Mediterranean eateries, unusual stores, quirky cafes, and lounge bars. Consider this area hipster heaven for Melbourne. As with most large cities, there are lots of things to do in Melbourne. Here are 10 of the top attractions you definitely should try to see on your trip. Opened in 1846 and spread over 89 acres, the Gardens offer a slice of paradise within the city, as well as providing a home to over 8,500 species of plants and the wildlife that coexist with them. For a relaxing day out and a real feel for Australia in times gone by, the Royal Botanic Gardens Victoria can’t be beaten. Visit: Open daily from 7:30am to sunset. Entry is free. Get There: Use tram stop 19, which is the Shrine of Remembrance/St Kilda Rd stop. Via bus, take Route 605 to Melbourne Observatory/Birdwood Avenue. Ride the fastest elevator in the southern hemisphere to the 88th floor for unparalleled views over Melbourne from the Eureka Skydeck 88. If that doesn’t impress you, try The Edge, a glass-covered cube that dangles you 300 meters over the city. If you don’t want to enjoy the breathtaking views while suspended in a large transparent box, there is also a nice coffee shop for a more relaxed option. Visit: Open daily from 10:00am. The Skydeck costs $20 and The Edge costs $12. Federation Square is a large mixed-use area in the heart of Melbourne. Packed with a variety of cafes, restaurants, and bars, it also includes shops selling everything from groceries to souvenirs to high-end fashion. The Square makes a great meeting place in the center of the city, and it’s also home to a wide variety of pop-up shows and exhibitions. Federation Square has a creative program that showcases talent all year round. Get There: Flinders Street train station is the nearest stop; it’s practically right on top of the square. Instantly recognizable with its 162-meter spire, the Arts Centre opened in 1982 and is now home to Melbourne’s ballet, opera, theatre, and everything else artistic and creative. The centre often holds outdoor concerts set against the skyscrapers of downtown Melbourne, with lights that dance to the music. With plenty of free entertainment and a full program of events throughout the year, the Southbank and the Arts Centre are always worth a visit. Opened in 1968, the National Gallery of Victoria (or NGV) is Australia’s oldest, largest, and most visited art museum. It houses works from across the art world, including Picasso, Monet, Rubens, and many others. For art lovers, the NGV is a must-see. Visit: Open daily from 10:00am to 5:00pm. Entry is free. Visit the famous Melbourne Cricket Ground, or “G” as it’s known locally, and take a tour of the impressive stadium, with its vast dressing rooms and adjoining function suites. Have a look to see what’s on at the G when you’re there, as it might be something you’d hate to miss — tickets for many events (including cinema screenings) are easily available. Visit: Tours are 75 minutes and run between 10:00am and 3:00pm daily. Tickets start around $25, depending on the level of tour you choose. Opened in 2000, the Melbourne Museum is the largest of its kind in the southern hemisphere. The sprawling complex contains various exhibits, from natural history to cultural displays as well as cinemas, cafes, an amphitheater, and much, much more. Visit: Open daily from 10:00am to 5:00pm. Tickets are $15 for adults and free for kids. Get There: On the tram, take route 86 to the corner of Nicholson and Gertrude Streets. By bus, use the Rathdowne Street stop. Built in 1755, Captain Cook’s Cottage is the oldest building in Australia. It was transported brick by brick from England to Melbourne in 1934. Today, it serves as a historical and cultural center and is one of the most visited tourist attractions in the country. Visit: Open daily from 9:00am to 5:00pm. Tickets cost $6.50 for adults. Built in 1934, the Shrine of Remembrance is the Victoria state memorial to Australians who served in global conflicts throughout the nation’s history. Inspired by classical architecture, the Shrine was designed and built by WWI veterans. Special exhibitions and events are held throughout the year, providing an ever-changing experience. Visit: Tours available daily from the visitor’s center at 11:00am and 12:45pm. Admission is free, but donations are welcome. An easy one to spot, the Melbourne Star Observation Wheel stands next to the river and affords amazing views over the city. Flights last 30 minutes and can range from a simple sightseeing trip to a champagne trip, or even a wedding in your own private cabin. Visit: Open 11:00am to 7:00pm (May to August); 11:00am to 10:00pm (September to April). Prices start at $16.50. If you’re looking to get off the tourist trail and want some quirkiness from your visit, here are 10 more things you can do with your time in Melbourne. Australia’s only medieval castle, Kryal Castle is home to brave knights, dueling warriors, dragons, mysteries, mazes, and plenty of medieval adventures. The kids will absolutely love it, and once they’ve slayed the dragon and conquered the maze, they can even have a go at archery. Visit: Open Saturday & Sunday from 10:00am to 4:00pm, as well as school and public holidays. Tickets start at $35. Get There: Grab the train to Ballarat Station. What could be better than enjoying a latte in a homely cafe surrounded by dozens of friendly, happy, rescue cats? Melbourne’s Cat Cafe (the first one in Australia) does just that. Operating primarily as a cat rescue and a cafe second, the kitties are the priority and are spoilt rotten. You’ll get spoilt too, with a steaming hot cup of coffee and a slice of homemade cake. Visit: Open daily from 10:00am to 6:00pm. 1-hour sessions cost $12 and must be booked in advance. Get There: Take the tram to Melbourne Central on Elizabeth Street. The cafe is nearby in Guildford Lane. The perfect place to keep the kids happy, Crafternoon is a cafe where you can eat and create all under one roof. Choose from creating with playdough, painting, badge making, or a heap of other educational and fun sessions to keep the children entertained while you enjoy high tea. It’s not just for little people either — adults can also try their hand at something crafty while there. Capture the historic beauty of the gardens from a watery vantage point. Jump on board a wooden punt and enjoy a serene cruise around the islands dotted throughout this picturesque ornamental lake. Your own personal guide will talk you through the Gardens’ history, flora, and fauna. Perfect for stress-free sightseeing! Visit: Guided boat tours run from 10:15am-5:00pm (September to May) and 11:00am-3:30pm (June to August). Tickets start at $25 per person. At Bass & Flinders Distillery, you can make your very own gin. First you’ll take a masterclass in gin distillation, and by the end of the tour will have created not 1 but 2 unique flavors of gin. You’ll get a large bottle of it to take with you afterward, and the distillery will keep your recipe on file so you can order more when you run out (or decide to gift your creation to friends). If heavy machinery and large civic operations are your thing, a tour around the Western Water Treatment Plant will show how the plant works and let you experience the scale and environmental importance of the site. Take a guided tour around the treatment rooms and processes to learn how energy is captured from methane gas and how the nearby wetlands are looked after. If you like all things ghost related, Eerie Tours offers ghost tours around some unique sites, including a cemetery, a sprawling old asylum, and an unused gaol. There are talks and tales along the way, and if you’re lucky you might come face-to-supernatural-face with a ghost or 2. Not for the faint-hearted! You no longer have to run away to join the circus; now you can do it while you’re here in Melbourne! Circus Oz offers classes in all things circus, including trapeze, hula hoops, German Wheels, acrobatics, flying, and even tumbling. They offer classes for both children and adults, and you can also book tickets to see one of their shows. Circus Oz does not use animals in their performances. Get There: Based in Johnston Street, Collingwood. Take the 86 tram to Johnston St/Smith St.
For fans of the long-running show, the Neighbours Tour is a once in a lifetime opportunity. You will be taken on a guided tour of the Ramsey Street set, as well as other key locations used in the show. There’s a very strong chance you’ll meet one of the stars on your tour, and you’ll have plenty of opportunities to take photos and learn exclusive story details too. Visit: Open Monday to Friday. Prices start at $59 per adult. The Colonial Tramcar Restaurant is an authentic Colonial tramcar that has been transformed into a 5-star dining experience. The beautiful wagons cruise through the city streets as you enjoy freshly prepared cuisine surrounded by Victorian history and opulence. 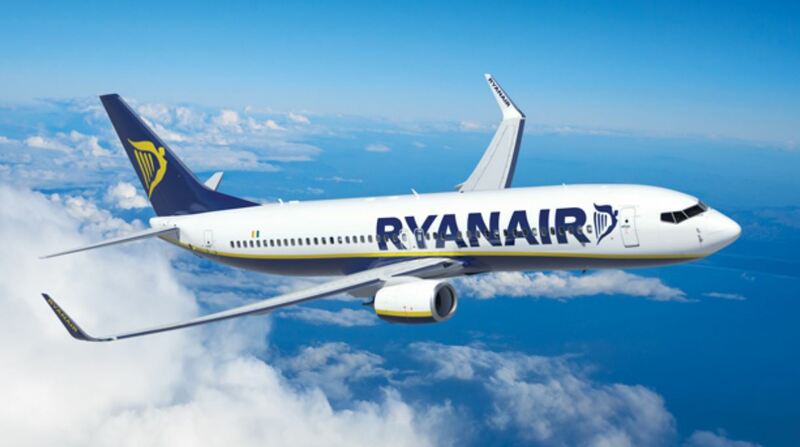 The restaurant will arrive back at the departure point at the end of the evening, and bookings can be in short supply. Visit: Open daily year round. Prices start at $90 per person, including all food and drink. Melbourne offers some of the best beaches in Australia within just a few miles of the central metro area. If you’re looking to make the most of the coast, here are the top 5 best beaches in and around the city. Brighton Beach is an ideal spot for swimmers, sunbathers, and surfers alike, set against a backdrop of over 80 brightly colored beach boxes. The suburb itself is one of the most sought after parts of the city, and it’s located just to the east of the CBD. You can reach Brighton Beach easily by car or bus, and the nearest station is Brighton Beach. With plenty of gourmet food outlets and contemporary retailers, you can spend your days on the long stretches of soft sandy beaches surrounding Brighton and Port Phillip, and then have a cool drink in the shade in one of the most popular and upmarket parts of Melbourne. You won’t find many waves at St. Kilda Beach, but you’ll still find plenty to enjoy. A hotspot for both tourists and locals, St Kilda Beach is a picturesque stretch of soft white sand that is always popular with photographers and film crews. Kite surfers, paddle-boarders, cyclists, and runners love the long straight palm-covered stretches, and there is more than enough beach to go around, no matter how busy it gets. This beach is also really close to the cafes and restaurants on Acland Street that are perfect for a break from the sun. You can even make the beach your final destination after a busy day racing around the attractions at Luna Park. The best way to reach St Kilda Beach is by hopping on the 3a, 16, or 96 tram from the CBD. Known locally as “Willy Beach,” this small family-friendly beach is a hit with locals and tourists as well. Being in a popular residential area just a stone’s throw from the city, you can while away the day admiring the sea in front of you, or take in the stunning views of Melbourne just behind you. This beach is also home to the historic Gem Pier, which offers spectacular unobscured views of the city skyline and looks resplendent thrust out to sea. With plenty of local cafes, shops, and other attractions, Willy Beach is great for kids of all ages. The nearest station is Williamstown Beach. If you want a trip to a beach with more than just sand and water to keep you entertained, “Mordi” beach could be just what you’re looking for. With its very own Windows on the Bay restaurant, a children’s playground, and dedicated BBQ and picnic areas, Mordi Beach is a big hit for families, groups, and social gatherings. There is also a bike path that runs all the way back to the suburb of Mentone if you fancy sightseeing on 2 wheels. Situated in the southern suburb of Kingston, Mordi beach can get very busy during weekends and holidays, so head down there during the week if you want the beach to yourselves. Mordialloc Station is closest, but it’s still about a 1.5 kilometer walk away from the main beach areas. Elwood Beach is a swimming beach offering excellent facilities and long stretches of soft clean sand. It is close to local cafes and restaurants and only about a 20 minute drive from the city. For these reasons, Elwood Beach is very popular among families with young children, giving it a safe, family vibe all year long. This beach makes the perfect base from which to explore the area’s other beaches, since you can walk around the bay to Brighton Beach or even St Kilda. Elwood offers a rare no boating zone, which is great for swimmers. Sadly, there are no local train or tram stations nearby, but you can easily reach Elwood Beach by car or bus. Melbourne is renowned for its exceptional bar scene, so it’s tough to create a top 10 list. However, we’re big fans of quirky hidden bars, so here are some you should check out when in the city. To find this hidden cocktail bar, you first need to locate Boston Sub, a tiny American sandwich shop in Chapel Street. Head inside and make for the cooler door. Go through, and you’ll step into the tropical surroundings of one of the funkiest cocktail lounges in Melbourne. Plant yourself at the bar and start on the spritzers before getting sucked into the tiki-themed cocktails, each more inventive than the last. Jungle Boy also serves food. Visit: Open daily from 5:00pm until 1:00am. The nearest tram stop is Windsor. Skillfully tucked away down Malthouse Lane, you’ll need to keep yours eyes out for an unsigned service entrance and head inside. You’ll know you’re in the right place if you’re not chased out by some angry chefs, but instead welcomed by waistcoated greeters fresh out of 1920s Chicago. Eau De Vie is a Prohibition-themed bar channeling all very best parts of vintage Americana. You can sit at the bar or share a private booth and get started on the best cocktails in the country. Behind a bookcase is another secret area, the Whiskey Room, that’s a whole new level of whisky drinking awesome. Visit: Open Monday-Thursday 5:00pm to 1:00am, Friday & Saturday 4:00pm to 1:00am, and Sunday 4:00pm to 11:00pm. No Tommy guns please! On Flinders Lane near the corner of Spring Street lies this amazing Japanese bar and restaurant. Keep your eyes peeled though, as the entrance is really easy to miss. Hihou offers a superb variety of worldwide fare all given a unique Japanese twist. There is also a wonderful cocktail menu on offer too. If you choose to dine upstairs, you’ll be asked to remove your shoes as you’ll be sitting at traditional Japanese low tables. If you’re dining downstairs, usual rules apply. Visit: Open Monday-Wednesday 5:00pm to midnight, Thursday-Saturday 5:00pm to 1:00am. Nearest station is Flinders Street. The ultimate in stripped-down hidden bar chic, this place is not easily spotted when passing by. Should you make the effort, though, you will be rewarded with a visit to one of the quirkiest bars in the city. Word of mouth advertising is all they’ve used here, so everyone else you see will have explored their way inside too. The drinks menu is refreshingly basic, which fits the décor perfectly. A tattooed and cool staff will make you feel right at home as you take a seat on the recycled furniture to take in the surroundings. Melbourne’s only dedicated piano bar, Murmur is a hot spot with a drinks menu thicker than an old phone book. Serving fine drinks and cocktails from around the world as well as amazing food, this relaxing bar offers an oasis from the bustling city outside. A great place to impress that special someone in your life (or simply indulge your inner connoisseur), Murmur will forever raise your food and drink standards. It’s 1920s chic for the 21st century. The first thing you need to do here is find the Captain Melville Bar in Franklin Street. Once inside, look for a bookcase that gives way to a rickety staircase. This leads you to Loch & Key, a semi-secret but fabulous bar and lounge. You can remain fed and watered here until the sun comes up, all accompanied by 70s funk and electronica. The food is experimental and delicious, but it’s the drinks you’ll come here for. Loch & Key’s bar staff will serve you anything from a cold beer to an outlandish cocktail — including everything in between. Hidden underneath Bank Place, Marrakech is a Moroccan-themed bar that offers the latest R&B and soul music in sumptuous surroundings. Grab a comfortable booth and soak up the softly-lit décor while sipping fine cocktails and enjoying delectable cuisine. They also have Shisha pipes, allowing you to fully immerse yourself in the Moroccan vibe. There are always special offers available, and you can find out about these on the Marrakech website before you go. Bartronica is Melbourne’s first vintage arcade bar. Indulge your 80s inner child with this hidden bar that’s packed with retro arcade games. Once you’ve found the place, grab a beer or one of the many weird and wonderful cocktails and get on a classic machine like Mortal Kombat, Sonic, or Mario Kart. When you need to get some air, you can head out into the beer garden, which has been set up to feel like it’s in downtown New York. This unusual drinking spot is decked out like an alchemist’s lab: everything’s covered in gold and festooned with old flasks and lab equipment. The Alchemist has an extensive wine list and probably one of the best and most experimental cocktail menus in Australia. Mixologists here can make anything you can think of — they’re as good at turning booze into cocktails as an alchemist is at turning lead into gold. Tapas-style food fills the gaps while live jazz on Tuesdays and Thursdays soothes the ears. This is a popular and very busy pizza place that does delicious New York-style pizzas with a variety of toppings. What’s that got to do with this list? Well, if you ask a member of staff to see the “special menu,” you’ll be taken through a secret door to a hidden retro-inspired bar out back! Here you can still enjoy delicious pizza, but you can also add a few cocktails to your order to help wash it down a bit better. Breakfast is the best meal of the day in Melbourne, and with so many great eateries to choose from you’ll never go hungry! Here are our top picks. One of the finest cafes in the city, The Kettle Black offers amazing dishes at great prices that will set you up for the day ahead. Need to blow the cobwebs away from the night before? They also have wine, beer, and a range of breakfast cocktails to go with their delicious menu. This place also serves a mean cup of coffee. Set in a beautiful location, this trendy cafe serves up some gorgeous dishes at reasonable prices. The menu is healthy and varied, and it’s accompanied by a fine range of beers and wines (as well as all-day cocktails). Top Paddock is like a traditional cafe and kitchen, only much better. It’s the perfect spot for a quick breakfast or a long coffee break, whether you’re meeting friends or need a quiet moment to yourself. Visit: Open Monday-Friday 7:00am to 4:00pm, weekends 8:00am to 4:00pm. The kitchen closes at 3:00pm though, so don’t dawdle! Shipping container bars are getting popular all over the world, and now you can visit one in up-and-coming Footscray. Rudimentary offers breakfasts ranging from light bites to a pork belly extravaganza, none of which will seriously dent your wallet. Add to this fantastic coffees and other drinks, and you can easily lose a whole day in this amazing venue. Rudimentary is also a community space that aims to contribute to the evolution of a vibrant part of Melbourne, as well as break the current trend of high rise developments. This American diner is styled after a New York subway station, complete with signage and bustle! The amazing menu fuses hearty American classics with unique Melbourne touches for some unbeatable dishes. From BBQ bacon cheeseburgers to pastrami sandwiches and key lime pie, you can find it all at Bowery to Williamsburg. They also do the best American breakfast in town with pretzels, bagels, waffles, and eggs all fresh every morning. You can join the other diners in this deli-style eatery, or have your food wrapped to go. Visit: Open Monday-Friday 7:30am to 3:00pm, weekends 8:00am to 3:30pm. Closed on public holidays. This 150-year-old auction house certainly looks its age from the outside. Venture in, however, and you’ll be greeted with industrial steel and concrete, as well as the buzz of contented diners. The Auction Rooms serves food from the Middle East, Mexico, and America and does a great selection of all-day breakfast, eggs, and sides. There are also cocktails, beers, and wine, as well as Small Batch coffee (made by the original owner who started the Small Batch company). Offering German, French, and Mediterranean-infused cuisine, The Grain Store cooks healthy meals in a bright space with industrial looks and a homely vibe. The daily breakfast menu includes plenty of healthy fare as well as more hearty fodder. Their weekend brunch menu is absolutely stunning and available until 3:00pm. You can choose from bacon, eggs, salmon, or even pork belly, among other mouthwateringly lazy breakfast suggestions. What started out as a trestle table and coffee machine has evolved into an excellent rustic eatery, offering hearty country foods as well as healthy lighter options. Their breakfasts are made with love and flavor, and the menu includes a variety of fresh local fare: homemade sausage rolls, granola, and a gut-busting farmers breakfast. Located on an actual farm, The Farm Cafe is the perfect spot for weekend bunches with the kids. Hidden away in a tired parade of shops is this gem of an owner-operated cafe. Serving fine coffees to suit all tastes, they also offer fresh, healthy food made with herbs and spices grown out back. Breakfasts come in all shapes and sizes, alongside first-class coffee and ice cream too. This suburban cafe is well worth hunting down, as it offers an Asian infusion on traditional breakfast choices. Try the salmon scrambled eggs with Benito flakes or the Nourish bowl, a superfood fusion dish that will provide all the energy you’ll need for the day. Lights In The Attic also serves fresh fruit, eggs, and steaming hot coffee. This family-run cafe offers French-inspired foods created by 2 chef brothers with a wealth of culinary experience. The menu is loaded with amazing dishes that wouldn’t be out of place in a top-end international restaurant. With all-day breakfasts, a breakfast cassoulet, crispy eggs, and even vanilla brioche toast, these boys are really raising the breakfast game in Balwyn! Oh, and in case you were wondering, Mr. Hendricks is the name of the family dog. If you thought only cities like London and Seattle had cool coffee covered, think again. Melbourne has one the most incredible coffee cultures in the world. Every neighborhood brings something new to the mix, making it irresistible to stop and watch the world go by while sipping on the black stuff in the mild Melbourne climate. Want to know where to find the very best coffee in the city? Check out these top 5 places for coffee lovers. Market Lane is a specialty coffee roastery, cafe, and retailer born and based in Melbourne. With 5 shops throughout the city, they roast their own beans at their Parham Market roastery and are dedicated to sourcing some of the finest coffee from around the world. Owner Fleur Studd and chief roaster Jason Scheltus were both big names in the Melbourne coffee scene in their own right. Together, they created a coffee company that is focused on not just providing fantastic tasting coffee, but also on educating every customer about the journey of the humble bean. Proud Mary is a specialty coffee roaster, cafe, coffee educator, and retailer that is dedicated to producing exceptional coffee, and who takes their roasting very seriously. So much so that you can visit their “Aunty Peg’s” roastery to learn all about the beans, brew your own gear at the shop, or enjoy a one-to-one brew from your own personal barista. Nolan Hirte, the founder of Proud Mary, is now recognized as a pioneer of the specialty coffee industry in Australia. Having come face to face with the harsh reality of coffee farming during a trip to Bali, he decided to find a way to bridge the gap between farmer and consumer, and shortly afterward Proud Mary was born. Based in Collingwood, the cafe has a vibe that is perfect for locals who enjoy living in one of the quirkiest suburbs of the city. The guys and gals at Code Black describe their establishment as “a laboratory, a workshop, and a hub for connoisseurs of the dark art and science of coffee.” We can assume from this statement that they take their coffee very seriously indeed. Located in the trendy suburb of Brunswick, Code Black has created a coffee shop that perfectly matches the interests and inspirations of the local alternative music scene. If the coffee they brew isn’t quite strong enough for your dark soul, they’ve also launched their very own brand of hot chocolate. Cocoa Jackson consists of a beautiful Venezuelan to give you a dark chocolate kick. Quirky, cool, and unashamedly dark…Code Black is probably just named after the way they take their coffee. When brothers Steve and Trevor Simmons set up in a tiny garage and began roasting coffee for themselves, they always had their eyes on bigger things. Now situated in a former warehouse in the super cool suburb of Fitzroy, the boys at Industry Beans are now pouring house blends for all to enjoy. With a strong emphasis on sourcing the very best specialty-grade green coffee from across the globe, the team at Industry Beans creatively applies scientific methodology to the coffee roasting process. They can reveal the complex and distinctive qualities of each single origin coffee, which in the end, makes for a really great cup! In-house, artisanal coffee flows aplenty at this trendy standing-room-only spot. With their own blends ground on-site, Patricia Coffee Brewers offers a simple choice of black, white, or filter coffees for all to enjoy. A joint venture between Bowen Holden and Pip Heath, Patricia Coffee Brewers is a quality-driven coffee bar in the heart of Melbourne. Their exceptional service meets carefully crafted coffees, and everyone who steps inside their tiny storefront knows they’re in for a coffee-shaped treat. Melbourne offers some of the greatest shopping experiences in Australia. From designer boutiques to vintages markets, you can find it all within the city center itself. You may have heard of Chadstone, the largest shopping center in Australia but here are ten others. The Emporium is the largest Australian luxury shopping area, offering a wealth of designer clothing stores and boutiques as well as over 30 food outlets. Situated on the corner of Lonsdale and Swanston streets, the complex also features large Myer and David Jones department stores. With 225 stores providing a fusion of fashion, culture, food, and art all located in the central CBD, the Emporium is frequented by locals, commuters, and visitors alike. Known locally as the “QV,” the Queen Victoria Village is home to both Australian and international designer stores, a wide variety of restaurants, and some of Melbourne’s finest retailers. Occupying an entire city block, the QV is famous for its unique open-air design, with 120 stores running down each of its laneways. There is also an international food court located in the basement of the building. The retail venue plays host to a wide variety of lifestyle events and shows throughout the year. Visit: Open daily from 10:00am to as late as 9:00pm on some days. Get There: Offers over 1,500 car parking spaces, but can also be reached by any tram or bus line. The Melbourne Central shopping center is a large modern complex featuring shops, offices, and access to the city loop underground railway below. Refurbished in 2005, the complex now offers a wide range of shops and food stalls that are well-suited to their central location within the CBD. Almost as well-known as some of the shops are the architectural delights on display. Coop’s Shot Tower, The Marionette Watch, The Glass Cone, and The Vertical Cone have all been built over the years to add interest to this city center retail and commercial complex. Bourke Street is one of the main thoroughfares in Melbourne’s Central Business District (CBD). It is well-regarded as a hub of entertainment and shopping in the city, and is a popular tourist destination. In recent years the area has become pedestrianized and is only accessible on foot or by tram, allowing visitors to explore the area at their leisure. If you are looking to enjoy the full city center experience, Bourke Street has everything you need: great shops, fine food, and plenty of the authentic Melbourne atmosphere. Get There: Nearest stations are Flagstaff Station or Southern Cross Station. Trams 86, 95, and 96 all stop in Bourke Street itself. Centrally located in Melbourne CBD and next to the popular upmarket Docklands suburb, DFO South Wharf is a factory outlet complex offering well-known branded goods for majorly discounted prices. Similar to the outlet stores normally found on the outskirts of major towns and cities, the DFO South Wharf offers all the fun of bargain hunting right in the city center. It also hosts a variety of cafes, bistros, and restaurants so you can enjoy a whole day’s shopping under one roof. Visit: Stores open from 10:00am until 6:00pm every day, except Friday when they offer late night shopping until 9:00pm. Get There: Nearest train station is Southern Cross, which is about a 15-minute walk away. Or, hop on any trams traveling along Swanston Street and St Kilda Road that stop at Federation Square, or the corner of Flinders and Swanston streets. Known as “the food lovers market,” Prahran Market offers a wide range of high quality fruit and vegetables, certified organic produce, sustainable seafood, free-range meat and poultry, and more. Having been on the same Commercial Road site for over 125 years, the market offers a variety of stalls and shops selling every type of food you could imagine. The market also has a dedicated Market Square where there are community performances, cafes, and a children’s playground. Visit: Located in the suburb of South Yarra. Open Tuesday, Thursday, Friday, and Saturday from 7:00am until 5:00pm, and 10:00am until 3:00pm on Sundays. Closed Mondays and Wednesdays. The Queen Victoria Market is a major landmark in Melbourne and the largest open air market in the Southern Hemisphere. Standing at around 7 hectares, the marketplace is both historically and architecturally important (and is actually listed on the Victorian Heritage Register). Visitors can expect to find a wide variety of fresh, high-quality produce and specialty shopping including clothing, art, and interior goods. Visit: Open from 6:00am most mornings, closing times vary depending on the day. Night market during the summer months on Wednesdays from 5:00pm until 10:00pm. Closed Mondays. Get There: Located between Queen Street, Victoria Street, and Peel Street, the market can be reached by train using either Melbourne Central or Flagstaff Stations. Alternatively, take tram 19, 57, or 59 to stop 7, Elizabeth St (or tram 58 to stop 9, Peel St). Rose Street Market is an artists’ market where everything on sale is handmade. Widely known as a platform for emerging artists, it is a great place to find one-off pieces of art, unusual fashion, unique jewelry, and work from local photographers. Occupying an abandoned yard in Fitzroy, Rose Street Market is the creative hub of the CBD and the city’s most important home for independent art and design. Visit: Market held every Saturday from 11:00am until 5:00pm. Get There: Best reached by tram using the 96 from Bourke St (get off at stop 16) or 11 from Collins St. (get off at stop 17). The Fitzroy Market is a community project that has been running since 2010. Selling a variety of secondhand clothing and goods, handmade items, and homemade food, the market is put on by the community and benefits partner organizations in education. There is always a welcoming atmosphere, lots of live music and entertainment, and a real neighborly spirit, making the market a lovely place to be on a sunny Saturday in Melbourne. Visit: Market held on the 3rd Saturday of every month from 10:00am until 3:00pm at the Fitzroy Primary School. Get There: Take trams 86 (travel to Smith St), 96 (travel down Nicholson St), and 112 (travel down Brunswick St). Or, buses 200, 201, 203, 205, and 207 all stop at nearby Johnston Street. Camberwell Sunday Market is Melbourne’s premier vintage market, and it offers a wide range of secondhand goods and crafts. It sells anything retro and is the perfect place to find antiques, collectables, vintage clothing, handmade crafts, vinyl, musical instruments, knick knacks, and much more. Visit: Market held every Sunday morning (except the Sunday before Christmas Day) from 7:30am until 12:30pm. Get There: Take the train to Camberwell Railway Station, or bus routes 612 or 285 to Camberwell Junction. Visiting foreign lands can be an expensive business, especially if you’re planning to spend any time in a major city. While Melbourne may not be the most expensive destination in the world, it certainly isn’t the cheapest either. Try these top hacks to help your vacation budget stretch a little further. Getting your bearings needn’t be boring. Melbourne is a wonderful city to just roam around and explore for free. Take in the city center and browse the streets as you get a feel for that authentic Melbourne atmosphere. When you run out of steam, there are plenty of parks and green spaces to relax in. While away the hours taking in the free galleries and museums dotted thought the city. The National Gallery Of Victoria has a vast collection of art from all around the world, and The Australian Centre for The Moving Image offers incredible interactive exhibits. Melbourne may be a vibrant and bustling city, but you’re never more than a few miles away from the nearest beach. Australia has some of the finest beaches in the world, and the coast surrounding Melbourne is certainly no exception. Enjoy free sunbathing, surfing, or swimming at any of the beaches surrounding the city. Melbourne is a very creative city full of musicians, magicians, buskers, breakdancers, and much more. You can catch any number of free outdoor performances all across the CBD and into the suburbs. Bourke Street, Southbank, and Federation Square are virtually guaranteed to have something going on nearly every day of the week. Melbourne is full of amazing markets, and you’ll be able to find one that offers everything you need on pretty much any day of the week. From the vast and historical Queen Victoria Market to the foodies’ favorites at Prahran Market and everything in between, you will never be short of a bargain or 2. DFO South Wharf is a shopping complex dedicated to designer bargains. With 3 levels of shops and hundreds of outlets to choose from (as well as cafes and eateries), a visit to the DFO is a great day out. Those waterside views will definitely add extra bucks to your brunch. If you want to enjoy fine food for less money, eat away from the docklands, Bourke Street, and main streets when you can. 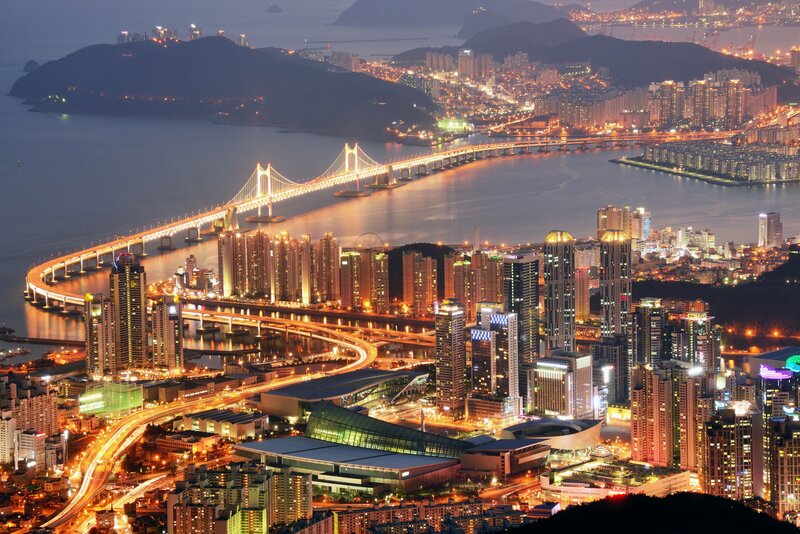 Like many big cities, staying in the main tourist districts can be expensive. In Melbourne, even the hostels can be on the pricey side, so check out backpacker groups on social media for the best deals, or see if you can find an apartment share for your time in the city. The north side of the city is famous for its live music venues and bohemian atmosphere. Dance the night away with free or cheap tickets to any of the area’s many music bars including the Tote, the Evelyn, Bar Open, or the Night Cat. If you want to live the high life without paying a high price, try eating oysters with a glass of Prosecco while overlooking the Yarra at Arbory Bar and Eatery, Melbourne’s longest and most affordable bar. Melbourne has an uber cool cafe culture, and you can quickly become a complete coffee expert by enjoying free coffee tasting sessions at many of the first-class coffee shops and roasters throughout the city. If you want to get a different perspective of the city, hop on a ferry from Southgate to Williamstown and explore the suburb’s historic waterfront, as well as the famous Castlemaine warship for just $18. The visitor shuttle stops at 13 points around the city and offers an audio commentary for your journey. Learn about the history of Melbourne at your leisure, and jump on and off as you please. Princes Park is home to the Carlton football club and is a stunning place to go for a run, bike ride, or even a workout in the outdoor gyms during your stay in Melbourne. Travel is not hugely expensive in Melbourne, but you can save money by taking advantage of the free trams, free off-peak travel, and the easy walking distance between many of the tourist areas. Want to impress your hosts when you finally touch down in Melbourne? Wow them with your superior knowledge using these fun facts. Melbourne is home to the first ever traffic lights installed in Australia. They were first tested in mid-1928 at the intersection of Swanston and Flinders streets to address the growing problems of simultaneous vehicle control and increased pedestrian traffic. Chocolate lovers have a lot to thank Melbourne for. Chocolate makers MacRobertson’s Steam Confectionery Works, located in the suburb of Fitzroy, were the original inventors of the Cherry Ripe in 1924, the Crunchie in 1929, and the Freddo Frog in 1930. They continued to produce these for many years until the company was sold to Cadbury in 1967. Melbourne was originally named Batmania after one of the city’s founding fathers, John Batman. Upon discovering the first settlements of central Melbourne, he declared the location as being a “nice place for a village.” The name never stuck, however, and the land would later be christened Melbourne, after Lord Melbourne, then the Prime Minister of Britain. Melbourne can get pretty hot. As you would expect anywhere on the Australian continent, the sun is almost always shining on this city. Sometimes, though, it gets a little too hot to handle: the maximum temperature ever recorded in Melbourne was 115.5 degrees Fahrenheit (46.4 degrees Celsius) in 2009! The world’s largest stained-glass ceiling is located in Melbourne’s National Gallery of Victoria. It was designed by Australian artist Leonard French, and his geometric masterpiece is known as the Persian Rug of Light. It measures a whopping 60.9 x 15.24 meters and features 224 tiles in a kaleidoscope of colors. According to the RSPCA, Melbourne is officially the fox capital of the world. There are apparently anywhere between 6 and 23 foxes per square kilometer in the urban area of the city. Despite these numbers, it’s still quite rare to see one, and the urban fox is very much revered. Melbourne used to be very well known for its public bathing. Residents would happily jump in the Yarra, the sea, and the City Baths to keep cool on hot sunny days. Such was its popularity that there are still more than 1,800 bathing boxes scattered around the city’s beaches. The now world-famous Australian beer Fosters was first brewed in Melbourne in 1888. Even thought it was originally brewed by American brothers William and Ralph Foster right here in the city, it went on to become synonymous with the “Aussie” love for a nice cold tinnie. As a city, Melbourne is utterly obsessed with sports and is the only city in the world to have 5 international standard sporting facilities on the fringe of its central business district: Melbourne Cricket Ground, Docklands Stadium, Rod Laver Arena, Hisense Arena, and Olympic Park in Melbourne Park. Keeping with the sports theme, one of Australia’s most famous games, Australian Rules Football was invented in Melbourne in 1858 by Tom Wills and his friends as a way to keep cricketers fit during the off-season. You can’t come all the way to Melbourne and not explore at least a little bit more of Victoria. Even if you don’t stay long, try and take at least one of these awesome day trips away from the city during your visit. As one of the most scenic coastal drives in the world, a trip along the Great Ocean Road is a once-in-a-lifetime experience. Stretching from the towns of Torquay to Nelson, the 249-mile roadway winds alongside the wild and windswept Southern Ocean coast of Victoria. The road will take you through Geelong, the Bellarine Peninsula, the Great Otway National Park, and the Shipwreck Coast as you explore local towns and villages, stopping at iconic locations along the way. The Great Ocean Road is approximately 2 hours south from Melbourne CBD, and you can spend days traveling its entire length at your leisure. The Yarra Valley is packed with award-winning vineyards, tasting rooms, and wineries. Many visitors to the region come to learn about the fermentation process and join in with an organized wine tour. There are many to choose from throughout the region, from a simple half-day tour to a full week away in a winery. Many of the vineyards have been transformed into exclusive estates, offering spas, restaurants, and even rooms for visitors to stay with them overnight. Prices will vary depending on the tour and location you choose, but half-day private tours start at around $50 per person, while overnight stays will obviously be much more. Find out about tours in the region at Yarra Valley Wine. Just an hour outside Melbourne, the Mornington Peninsula offers miles of stunning coastlines and pretty seaside towns, as well as local wineries and impressive restaurants. Go cycling, horseback riding, golfing, surfing, or visit a winery or a national park…or just relax on the beach. The Mornington Peninsula has something for everyone. You can drive there from Melbourne using the M1 and the Western Port Highway. If you want to take the train, you can connect from Frankston through Hastings to Stony Point on Westernport Bay. Or if you would rather go by bus, they travel from Melbourne to all areas, and local bus routes operate around each Mornington Peninsula village. Phillip Island is a very popular day trip destination from Melbourne. You can watch the Penguin Parade from Summerland beach, or spot the fur seals gathering off the coast from The Nobbies Centre. If you’d rather, you could simply stop and spend some time with the koalas at the Conservation Centre. The island is also well known for motorcycle and car racing events held at the Phillip Island Circuit if man-made entertainment is more your thing. Around a 90-minute drive away from Melbourne, you can reach the island by car using the M1, the M420, and the A420. Private coach trips from the city are also available, or you may be able to access the island using the V-Line train service. Tickets for the attractions vary in price depending on what you wish to see. General viewing tickets for the Penguin Parade are $25 per adult, whereas a guided ranger tour of the parks could be as much as $90 per adult. Find prices, times, and park information at the Phillip Island website. The Dandenong Ranges make for a great day out away from hustle and bustle of the city. Soaring forests, fern glades, and some of the world’s tallest flowering trees can all be found here. There are also pretty villages and rustic farms, and you can jump aboard the historic Puffing Billy Steam Train to see them all. A trip on the steam train will cost from $59 per adult and $29.50 per child. The Dandenong Ranges are about an hour away from Melbourne by car using the M1 freeway, Ferntree Gully Road, and the Burwood Highway. If you’d rather use public transport, you can also get there using the V-Line train service from Melbourne. There are many options for day tours and accommodations for longer stays. Melbourne has relatively low crime figures for a city of its size, meaning that you should be able to relax and enjoy your time there. That said, all travel comes with risks, and you should always be aware of your surroundings and take the appropriate precautions. If you are the victim of a crime, have been in an accident, or need urgent assistance in relation to a fire, call 000 and ask to speak to the police, ambulance, or fire department. If you need to contact the police in relation to a non-urgent matter, call 131 444. If you need advice or assistance about a Maritime and Aviation Rescue, call 9674 3000. If you need travel information, updates about disrupted or canceled services can be found at Public Transport Victoria. In a crowded area, stay aware of what is going on around you and keep together in groups. If there is a chance you could become separated, arrange a meeting point prior to travel. Pickpockets and thieves operate all over the world. To ensure that you are not a target, keep your mobile phones, wallets, and purses safely tucked away, and never leave them in plain sight. If you are eating out, keep your handbags or briefcases out of sight under your chair in bars and restaurants, or use a table clip if the venue provides one. Carry backpacks forward-facing in crowded areas. Keep mobile phones and other devices out of sight when not in use, and never leave them in your back pocket or coat pocket. If your valuables are lost or stolen, dial 131 444 for the nearest police station. You will need to make a full report as soon as possible. Do not carry large amounts of cash on you, and if you are using an ATM, be sure nobody is looking over your shoulder as you enter your PIN. Keep a note of your hotel’s phone number and address with you at all times. If you get lost, you can use this to find your way back. The National Security Hotline is the single point of contact for the public to report possible signs of terrorism. It also provides information to callers on a wide range of national security matters. Visit http://www.nationalsecurity.gov.au or call the National Security Hotline at 1-800-123-400. Slop on SPF 30+ broad spectrum sunscreen at least 20 minutes before sun exposure, and reapply every 2 hours outdoors. Slap on a wide-brimmed hat that shades your face, neck, and ears. Only swim on lifeguard-patrolled beaches between the red and yellow flags. Remember to always apply proper protection against the sun, even on cloudy days. If you are concerned about a bite or sting, visit the Symptom Checker at healthdirect.gov.au. If you or anyone in your party is suffering from chest pain, loss of consciousness, difficulty breathing, turning blue, or is badly bleeding, call 000 immediately. Bush fires are a real concern in Victoria. Before you travel, make sure you know how to safely deal with fire in a bush environment and what to do if a fire begins to spread. You can find all the information you need on the Forest Fire Management Victoria website. Melbourne has many attractions and the one I like the most is The MCG.The MCG is the biggest cricket ground in the world and It looks tremendous.I have been to The MCG in 2015 and it was the cricket world cup final, the atmosphere there was so good, and the MCG was looking stunning inside and outside.